We planned and executed this project, based on the design of the Hartmann-Von-Siebenthal marketing agency. 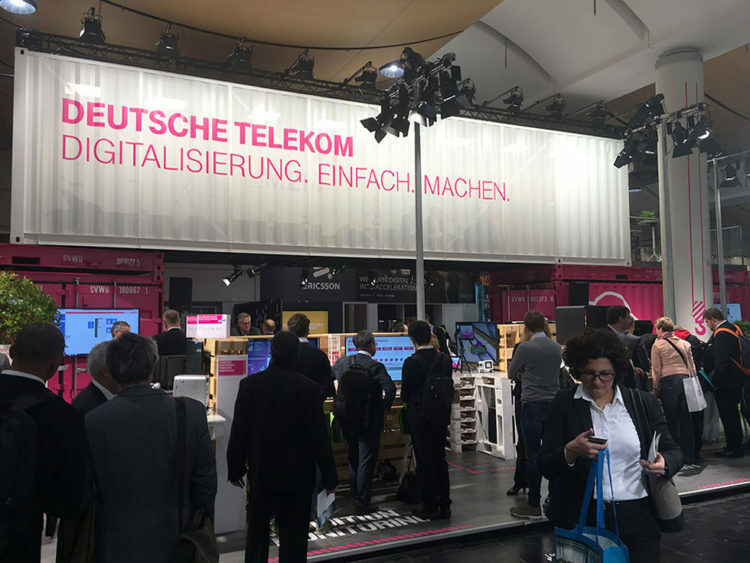 The presentation space for the Deutsche Telekom at the HMI Hannover fair was highlighted with this eye catching container structure. Consisting of two 20ft containers that hosted exhibition,bridged by a 40ft container that served as a lounge or a meeting place. Innovation in this project was custom made perforated steel sheet wall on the 40ft container. This feature gave the visitors the feel of privacy while in the meeting,but having the overall view of the fair at the same time. The impact at visitors was great, and the stand itself was very successful. 2x20ft is a trademark of Artdepartment Berlin GmbH.